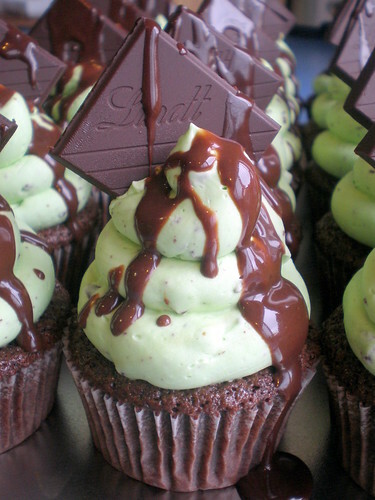 These mint chocolate cupcakes by Sugar Siren Cakes in Queensland, Australia look so good I don't even know what to say. I want them. All of them! The cake was my Midnight Delight (a moist dark chocolate mud cake) which I paired with a pale green peppermint Swiss meringue buttercream that was generously studded with chunks of top quality Lindt dark mint chocolate. 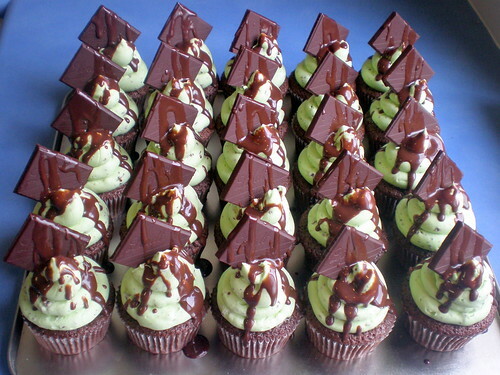 For the crowning glory each cupcake was then topped with a perfect whole square of Lindt dark mint chocolate & the final indulgent touch was a lavish drizzle of rich home made chocolate sauce. I wonder the best way to tackle eating them...lol! Probably just inhale all that good frosting first!